At any event you need to stand out. Use these promotional Choc Beans Biz Card Treats to hand out business cards and you will be remembered for some time. For trade shows and product expos, handing out business cards to potential clients is mandatory. However, with every exhibitor doing the exact same thing, how do you stand out amidst the competition? Simple – hand out delicious promotional Choc Beans Biz Card Treats! 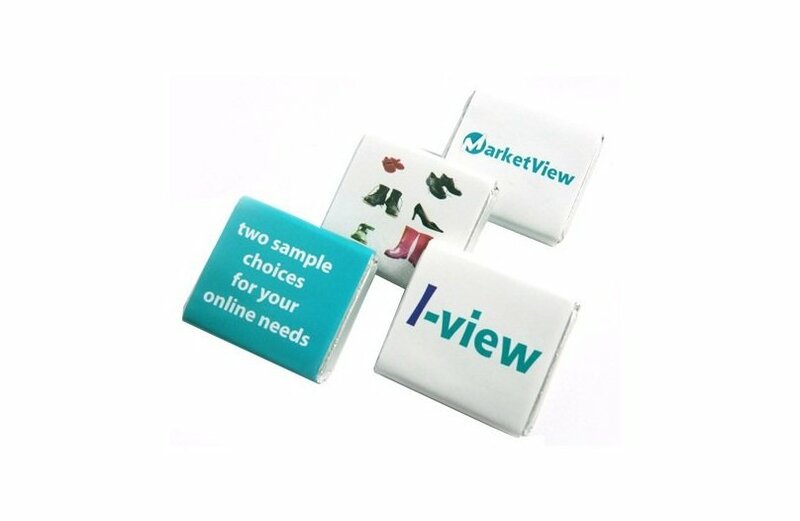 This is a clever business card holder filled with delightful choc beans or any confectionery of your choice. What a way to make a first impression! Hand these out to passers-by. With chocolate candies inside, we’re certain they will accept these personalised Choc Beans Biz Card Treats. After all, who can resist free colourful candies? Now that you have their attention, strike a conversation. It’s the best time to engage them and talk a little more about your company. With this gesture, there are higher chances that your business card will be kept and not tossed in the junk pile. Custom Choc Beans Biz Card Treats are available in either a 25 gram or 50 gram pack. The packaging is a clear plastic, allowing customers to see the sweet treats you have inside. Your business card is inserted on the opening of the product. For a minimal fee, we can do the business card printing and insertion to save you time. We also have the Choc Beans Biz Card Box if you want to add premium and branding to the packaging. 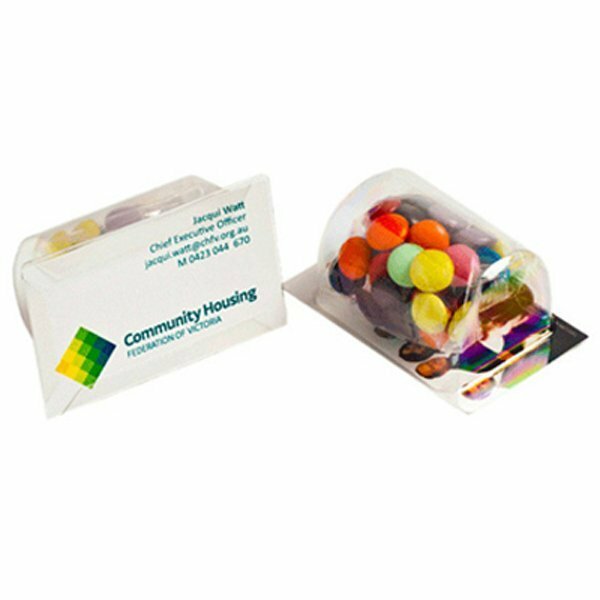 For all other confectionery that go well with your business card, browse around our large assortment of corporate Biz Card Treats. With lots of choices, you will definitely find the perfect promotional product. Let’s get started on your order, shall we? You can place your order here on our website. With just a few steps, we can have your order out the door in no time. A live chat function is also available if you have a question or two. But if you want to talk to a sweet tooth expert, our lines are open. Call us on 1300 008 300. Needing printed head wear to mix ‘n match with your promotional confectionery? We’ve got that base covered. Simply hop over to our Fast Caps website and we know you’ll find a matching printed hat or cap to make your brand really pop. Perhaps start with our ever popular custom Five Panel Washed Cotton Twill Cap.